I know it's not quite the end of the year yet but I've been too busy eating, drinking, watching TV, eating, drinking, forgetting the name of General Melchett's pigeon in the Christmas Day board game, and eating and drinking some more to visit any National Trust properties, sadly. Well, not that sadly, as I very much enjoyed the eating and drinking (and it's Speckled Jim). But anyway, the moment has come to announce our National Trust Scones of 2013, an event that is surely up there with the State of the Union address and the final of The Great British Bake-off in its importance to the world. On a hot August day, we visited Bodiam Castle in East Sussex, a castle that we decided was extremely good at being a castle. It was also extremely good at scones. 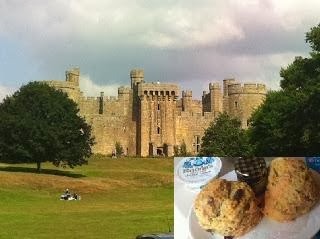 Read our post about Bodiam Castle scones. 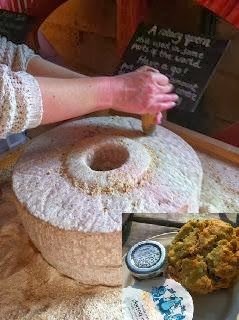 We knew that Houghton Mill in Huntingdon was going to be good when they got in touch to say that they make scones with flour that they mill themselves. It was even better than we expected. Read about our trip to Houghton Mill. 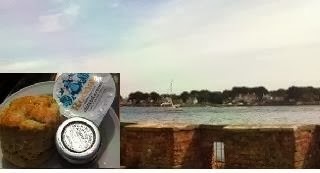 Brownsea Island near Poole in Dorset is home to red squirrels, scouts, and a hotel owned by John Lewis but it was the scones that we loved. Read about our squirrel-less adventures on Brownsea Island. 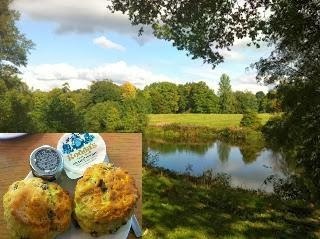 We mean no disrespect to Winkworth but this was a complete surprise: fantastic scones in a National Trust property that has no razzmatazz at all - not a fridge magnet to be had. They kept the scones in a bread bin *taps nose*. Read about our visit to Winkworth Arboretum. OK, OK, it's a controversial choice seeing as a) they knew we were coming and b) we helped to bake the scones, but they were MINCE PIE SCONES, people, how can they not take the top spot? Be reasonable. 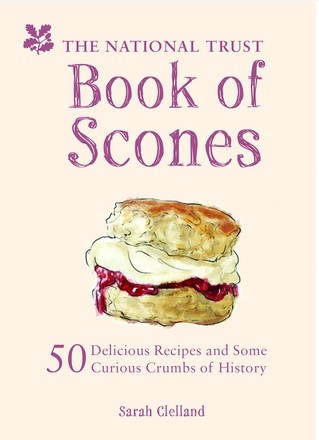 The only way they could have been improved was by being mince pie pinot grigio scones or mince pie Curly Wurly scones. Anyway, a fantastic day was had meeting some of the absolute loveliest people EVER, learning how to make National Trust scones, and visiting the one-time home of John Constable and scene of The Hay Wain, something I had previously only seen on my parents' living room wall (albeit I had to look at it for 18 years). Read about our day at Flatford. And that, my friends, concludes our review of National Trust scones in 2013. We heartily recommend all of the above properties (and their scones), and all of the other places we visited because there wasn't one single wasted journey. So what's coming up in 2014? 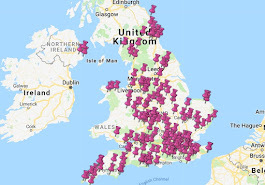 Well, we're very much looking forward to continuing our National Trust scone odyssey and seeing a bit more of the UK. I think it tells you everything you need to know about the National Trust that there is a property in York that used to be the home of the Terry family (the chocolate people). 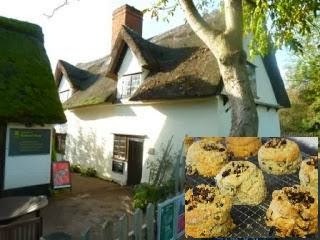 Guess what kind of scones you can find there? Yes indeed, they actually bake CHOCOLATE ORANGE SCONES. How ingenious is that? Middlethorpe Hall, we're really looking forward to seeing you at some point. Get the kettle on. Thanks Pete :) I have no idea how we failed to see a single squirrel, I'm actually quite embarrassed!